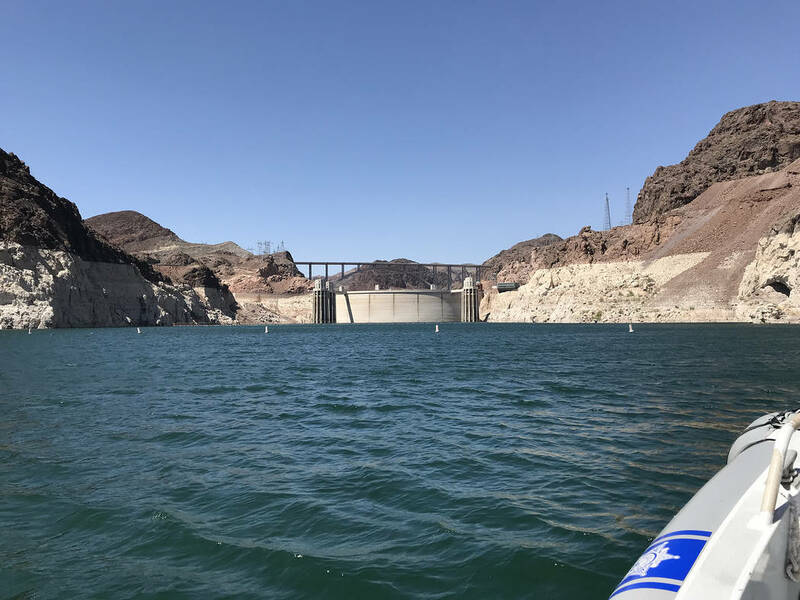 Hundreds of Clark County School District students will be able to visit Lake Mead National Recreation Area during the 2018-19 school year after nonprofit organizations provided more than $10,000 in grants to underwrite expenses. Hali Bernstein Saylor/Boulder City Review Hoover Dam and the Mike O'Callaghan-Pat Tillman Memorial Bridge can be seen from Lake Mead. The grants include $7,127 from the National Park Foundation’s Open OutDoors for Kids program and $3,300 from the Great Basin Institute and Get Outdoors Nevada. The money will support field trips for 29 classes in Southern Nevada, according to the park service. “These trips will provide meaningful recreation experiences for Southern Nevada’s diverse urban and rural youth,” said Martha Lee, acting superintendent for the recreation area. Before each field trip, park rangers and education specialists will visit the classrooms to share information about national parks along with Lake Mead’s natural, cultural and recreational resources. To participate in one of the trips, schools must apply for a microgrant, according to Mauricia Baca, executive director of Get Outdoors Nevada, which is administering the grant. According to Baca, the grant will pay for 17 school buses to transport students to the park. “Other needs will be filled through our funding partners at Barrick, NV Energy and the Kasner Family Foundation,” she said. The application is available at getoutdoorsnevada.org/education/#mym-micro .